It was back in early spring 2009, when I first met one of the laser synthesis pioneers, Fumitaka Mafuné, in Japan. In Japanese (and also in European) tradition, you go to a bar to find out if you are likely to become friends in future. So we went to a nice place, and I have enjoyed some beer and edamame, while chatting about the growing community of this emerging field, we started putting down a list of pioneers and researchers we want to meet and talk to in future. (I still have this sheet of paper where all begun, but I cannot read my own handwriting of that evening anymore). We discussed back and forth about organizing a session on a larger conference, but as we do not like huge conferences with multiple parallel sessions ourselves, we agreed that we should give it a try to organize a free-standing conference without parallel session, purely on laser synthesis and processing of colloids. As he was the pioneer, older and much higher reputed, it was of course me who had to take over the work. First thing was finding a crispy acronym, and my PhD student Anna Neumeister who was our talented “acronym-machine” at these days created it: ANGEL. My former boss said “you will not have more than 20 attendees” and it was not so easy to find a good place. Silke Kramprich from the European Optical Society helped me a lot and we found “Engelberg” as a picturesque place. I thought that must be a good circumstance as “ENGEL” in German means “ANGEL”. Sasha Ediger created a nice logo, and everything went step-by step, now handed over to international chairs, trying to find beautiful places to meet, with exciting social program and even more exciting science. and B. Gökce. 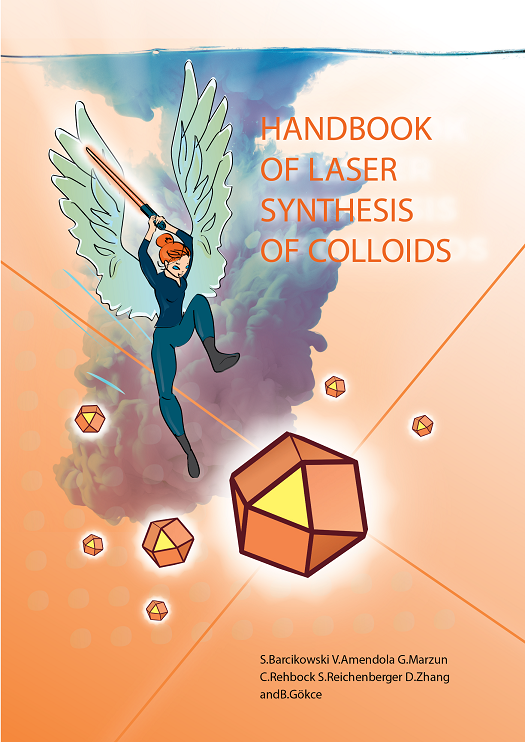 Handbook of Laser Synthesis of Colloids, DuEPublico, 2016. 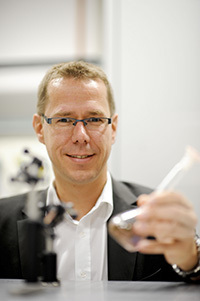 The call for proposals to chair the next international scientific conference series on Advanced Nanoparticle Generation and Excitation by Lasers in Liquids (ANGEL2020) is opened. Proposals (maximum 5 Slides: Chairs, Venue, Access, Financials, Extras) have to be submitted to the ANGEL2018 chairs (email : abstract-angel2018@univ-lyon1.fr), at least one week before the beginning of the ANGEL 2018 Conference (June 3rd - 7th, Lyon, France). Applicants will be invited for 5 min oral presentation on Wednesday, 6 June 2018, 8 pm, in front of the ANGEL2018 chairs, the International Advisory Board and the Programme Committee. After voting by the Program committee members, the next ANGEL place, preliminary date and the new chair(s) will be announced at the last day of the ANGEL2018 conference.